Not the last great place. a handmade winter cap for my baby love. Can I say these things? drifting powerless clouds, and slow foods? I’m not pushing up against anything? drawing a circle in the sand? can I say the earth is dying everyday? if I do not join? Will I be thought of less, here, if I say these things? Can I say this without being despised? Can I say there is no It? Can I say Shiva is not It? conquering a mountain, surviving illness. nothing to search for, little to do? What does it take to fill oneself up? sky beyond claimed and unclaimed sky. that I will never die? that I will live forever? Can I do my work and still be happy? and still be spacious and loving? With proper respect, can I say there is nothing to save? 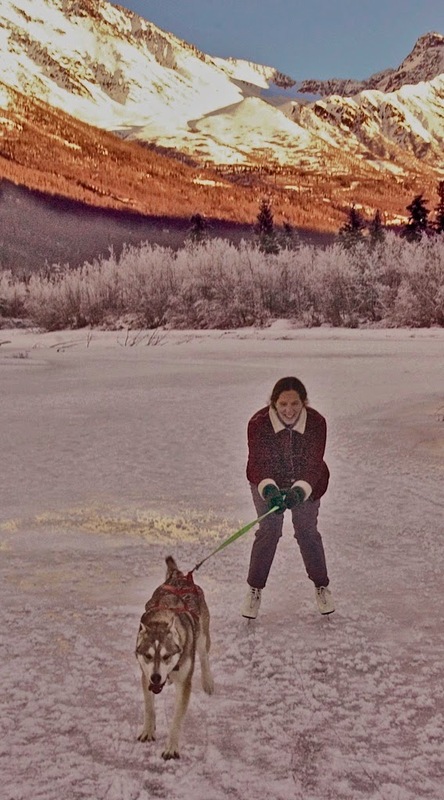 Monica Devine is the author of five children’s books, among them Iditarod: The Greatest Win Ever, a former nominee for the celebrated Golden Kite Award. Her adult nonfiction piece, On The Edge of Ice, (about her travels with a whaling crew in the Arctic), won First Place for Creative Nonfiction with the literary journal, New Letters. She composes photo essays and poetry on her blog, Between Two Rivers.